A comfortable accommodation is the foremost requirement when you are planning for a tour. We help you in searching the best accommodation as per your requirement. Based in Srinagar, we offer outstanding Hotel Booking Services to our clients in India. We specialize in providing 5 star hotels, 3 star hotels, 2 star hotels, guest houses, and luxury resorts. 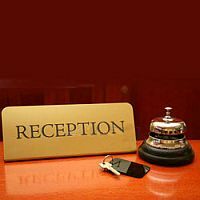 We understand the requirements of the client and then book hotels on their behalf. We make sure that all facilities are provided to the clients. We provide the best deals so that our clients are well satisfied. We offer our services at an affordable price.